My Blissful Journey: Stresemann's Bristlefront & Lazy Vegan Meals! Stresemann's Bristlefront & Lazy Vegan Meals! For the new year I am going to include more animals on my blog. More specifically ones that need attention. Whether that be educating myself and others about an Endangered Species or posting about another animal in need. 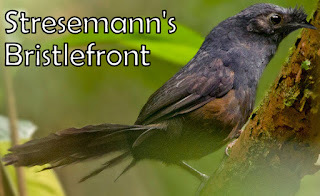 I thought I would start this off by sharing info about a bird that goes by Stresemann's Bristlefront. I have been reading on this bird because of the information I received in my inbox from The American Bird Conservatory. It's a unique bird that nests in underground tunnels. They went unrecorded for over 50 years. Back in 1995, there were about 15 birds that were located. 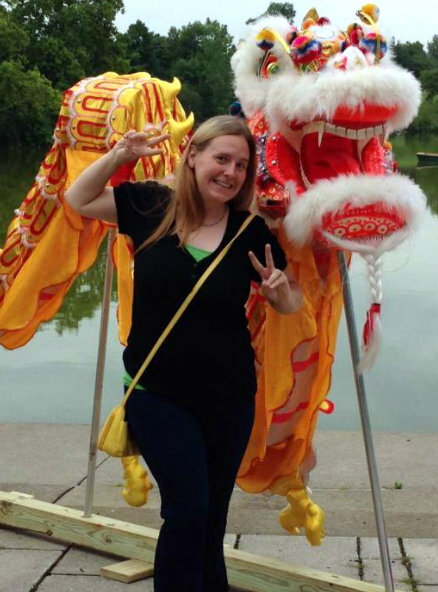 As of today, there is only 1 individual female bird of its kind that has been accounted for. Professionals are saying that it's due to logging and other issues as to why the Stresemann's Bristlefront Bird could be the world's rarest bird. It was recently found in Northern Brazil. The group is trying to raise money to locate and start bringing the species back from the brink. You can learn more about that HERE and even hear what she sounds like. I've been in RESEARCH MODE over the last several months. Whether it's for the Votes For Women National Trail to celebrate 100 years of Women's Right To Vote and how I can submit historical places in my area to show up on the national trail map - or if it's Geography based to learn more about different countries and cultures. While researching different countries and islands and such I have been keeping an eye on my Flag Counter. It's the widget on my sidebar if you scroll to the bottom. Yesterday I had people from 40 different countries visit my blog! Overall, I've had 223 countries visit. As of today, I'm only missing 20 country flags! I will be researching these 20 countries and see how I can not only learn more about their culture but their foods and see if I can veganize them! Speaking of food, I'll move on to my LAZY MEALS as of late! The photo you see above is a little diddy I threw together. It's made of frozen, riced Cauliflower & Sweet Potato. I added Tofu that I pan fried and added garlic while pan frying. I added a little brown sugar and dijon mustard and mixed well. I know it sounds like a strange flavor combo but I'm kind of hooked on it now. This past Sunday we went to a potluck and my mom and I made a HUGE tossed/veggie salad and some Vegan Macaroni Salad. Here is a photo of the Mac. 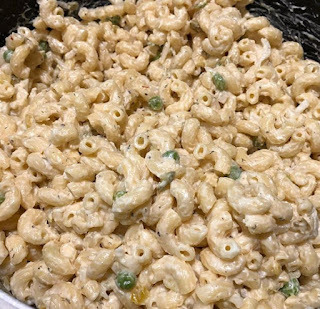 We made the elbow mac like we usually do and then I added Just Mayo, Frozen Peas, Relish, Garlic Pepper, and Old Bay Seasoning! We brought back an empty container. I know most people didn't know it was vegan! Another lazy meal I made not too long ago was this dish. I made it in the microwave. 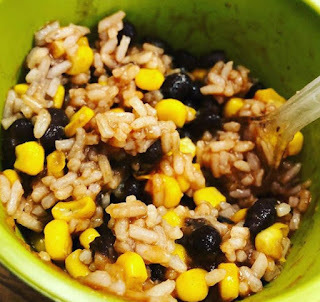 It has Rice, Black Beans, Sweet Corn, and Tomato Sauce. It only cost about $2 to make and I had enough for 2 to 3 meals! Thanks for the feedback on the Endangered Animals! It looks like others are interested, too! I agree with Barb!! More animals! I've been wanting to experiment with a vegan macaroni salad. I never really cared for non vegan macaroni salad, but I also didn't care for mayo, but now I'm addicted to Just Mayo!! YAY! Sounds like there is some interest! I'll certainly try and incorporate more ASAP! I know what you mean about Mayo! I hated it growing up and now I adore vegan Mayo like Just Mayo! Yes, more animals! It's so interesting to learn about endangered animals and you'll be bringing so much awareness. That's amazing. It's a go! I'll be doing it! You guys have spoken! Thanks for the encouragement! Since it’s YOUR blog that mean YOU get to post whatever you want when you want...!! If you’re passionate about it, then it’s post worthy :)). 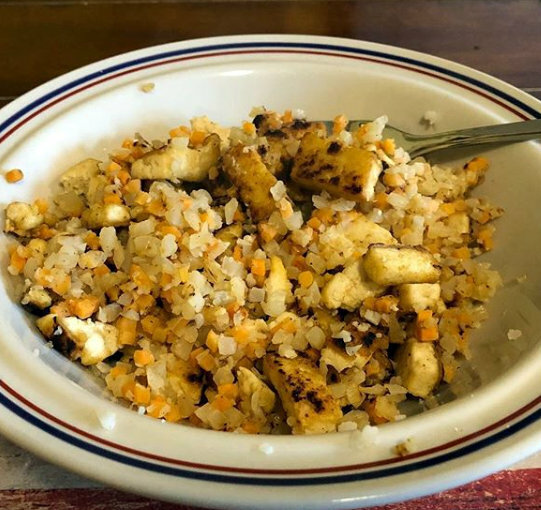 I love bringing dishes to potlucks and knowing they just think it’s delicious- not “delicious for vegan food” or whatever preconceived ideas they have. I swear if it had a big label saying “vegan macaroni salad” most people wouldn’t have tried it. Ttrockwood! It's nice to see you again! Thanks for your visit and comment! And your encouragement! And I know what you mean about the vegan labels! People are so afraid of them! You have some of the BEST fast meals I have ever seen! Low-effort, low-cost meals are just my speed right now. These all look like delicious ideas that I should put into action too! January is the hardest month for foods and the checkbook here in the snow belt! YIKES! Your lazy meals all look super delicious! Thanks! I will have more soon, I am sure! Lazy meals are sometimes the most rewarding meals lol. I've been trying to make more meals with extra veggies and whatever so I can make easy lunches. It's been pretty nice. Love learning about these new animals. I've always been a pretty big wildlife nerd but I haven't heard about these two animals. Well HELLO to you both! I hope to learn and post more about other species that aren't usually mentioned. If you have any suggestions let me know! I love learning about animals, I look forward to reading! That macaroni salad looks amazing! Thanks! It was pretty tasty! It's a great potluck dish that is for sure!